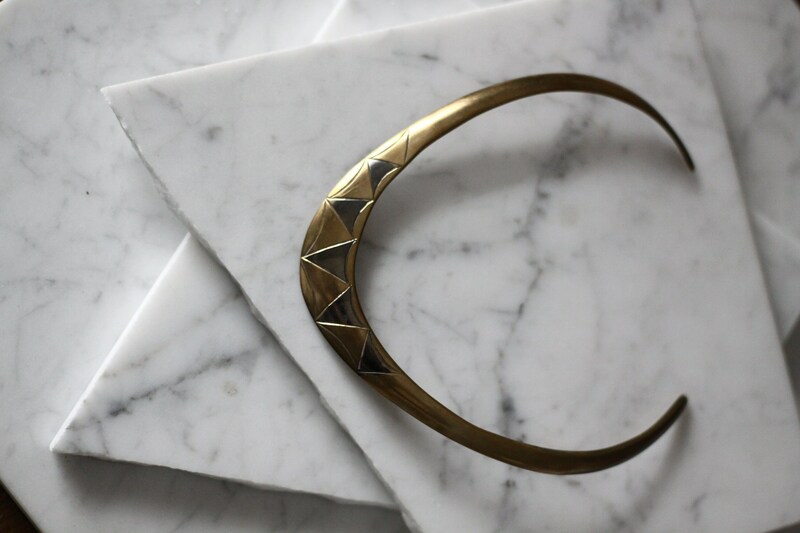 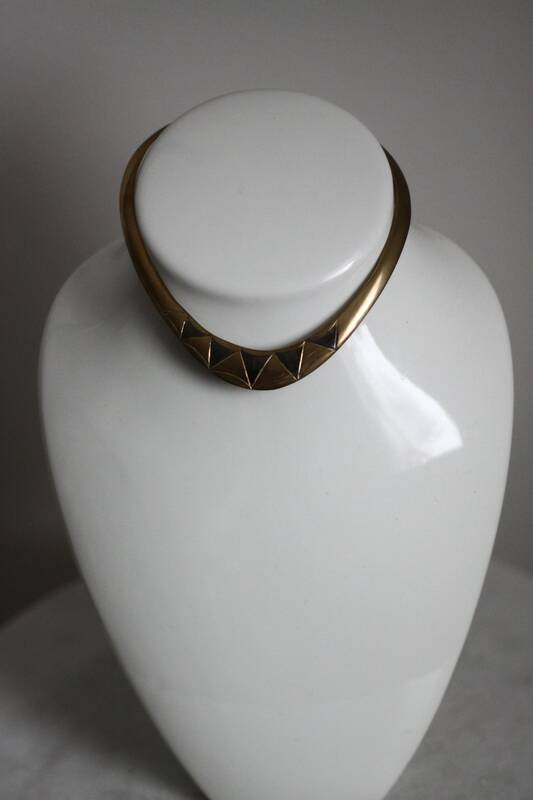 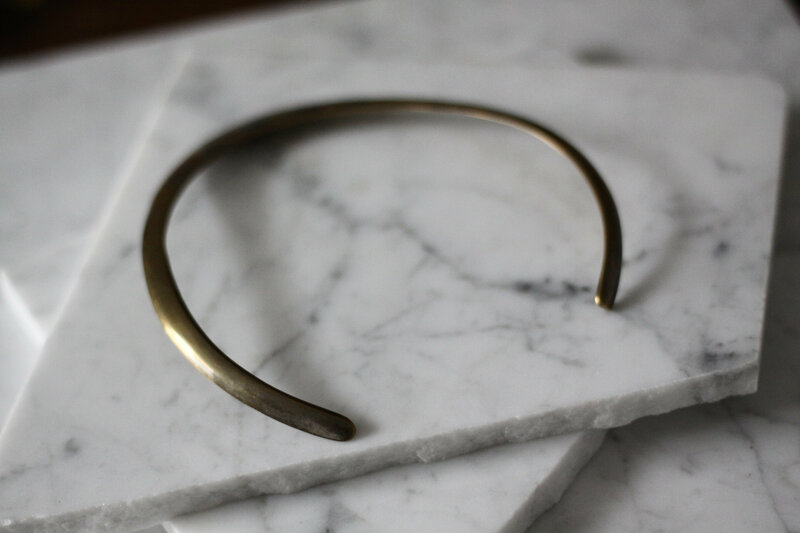 1970s brass and silver triangle print metal choker necklace. 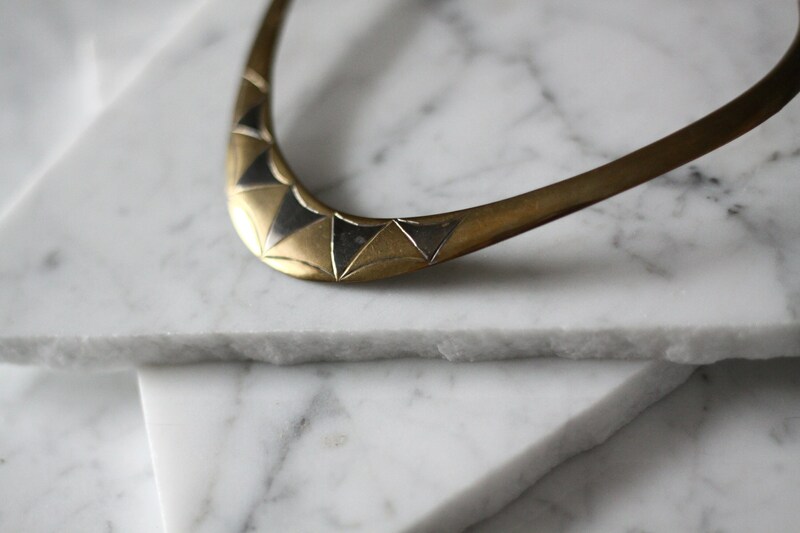 Open hole in the back of the necklace so will fit most neck sizes. 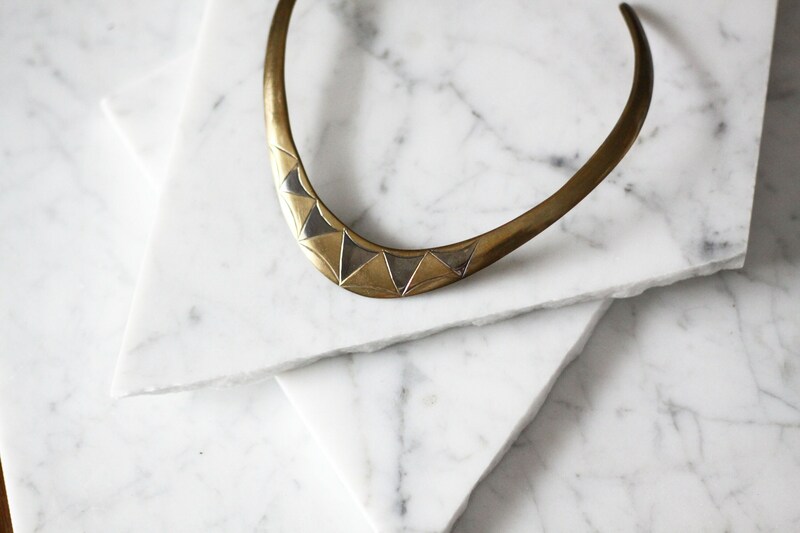 So many options to style this beautiful necklace.